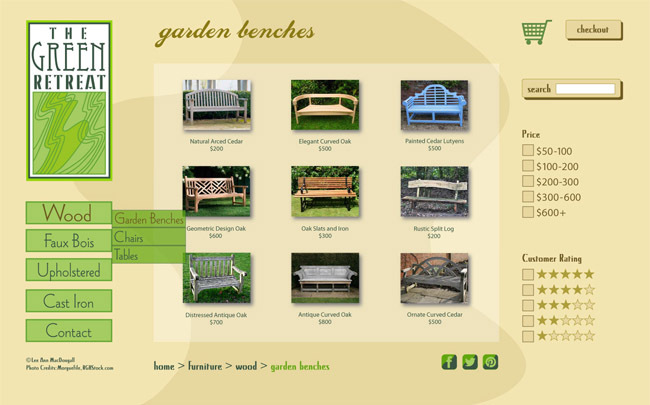 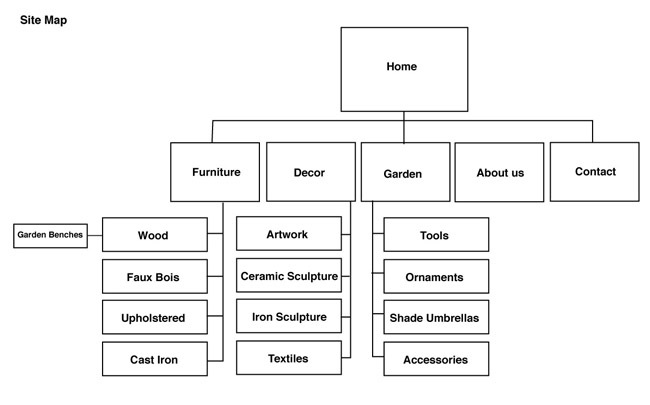 Plan for an e-commerce site where it is possible to browse, rate, and purchase unique outdoor furniture and accessories. 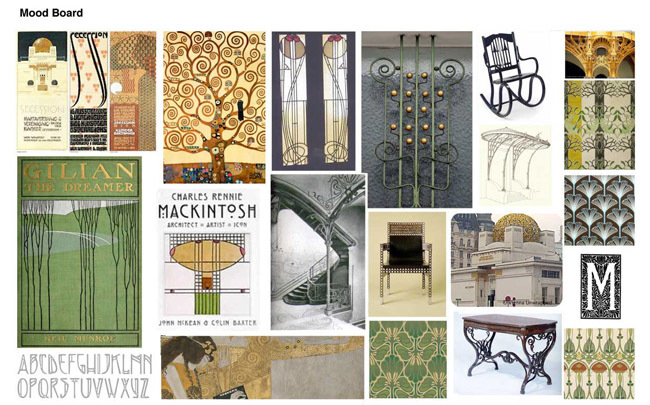 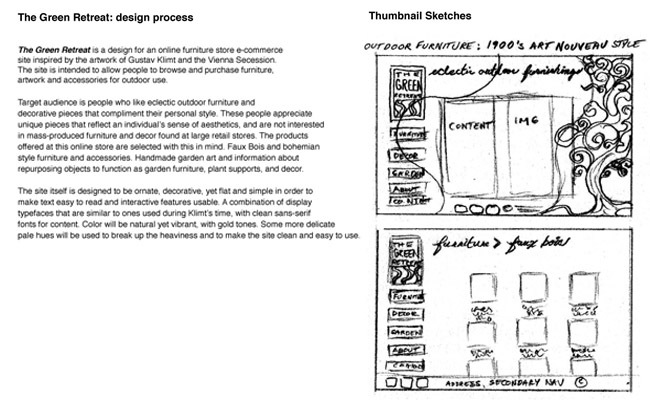 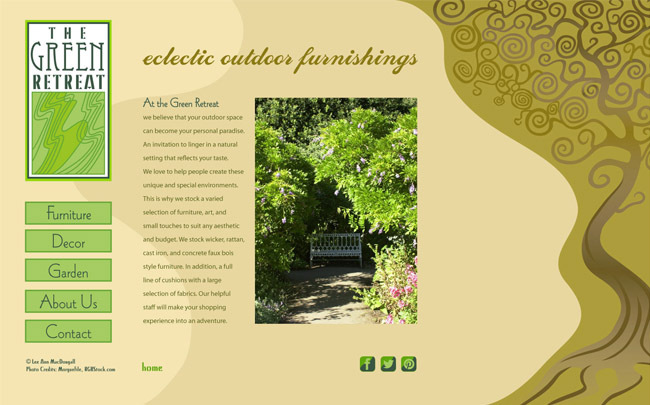 Overall style of site based on artwork of the Vienna Secession, intended to appeal to people who are looking to create an outdoor environment that is a personal statement. 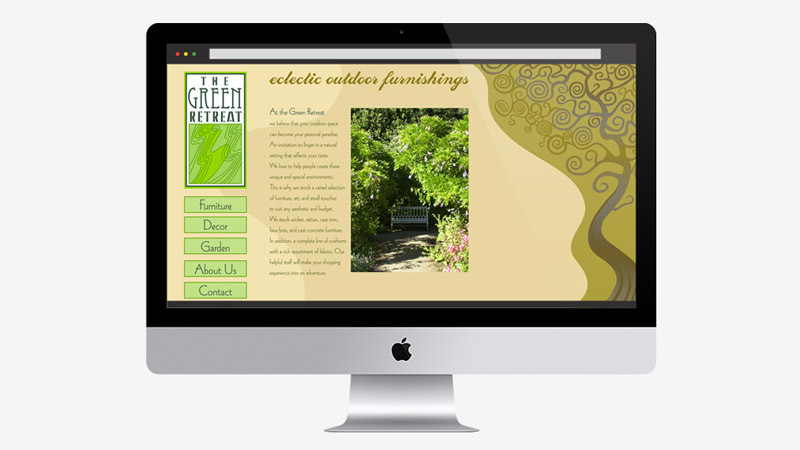 Illustration inspired by Gustav Klimt’s ‟Tree of Life”, created in Adobe Illustrator.